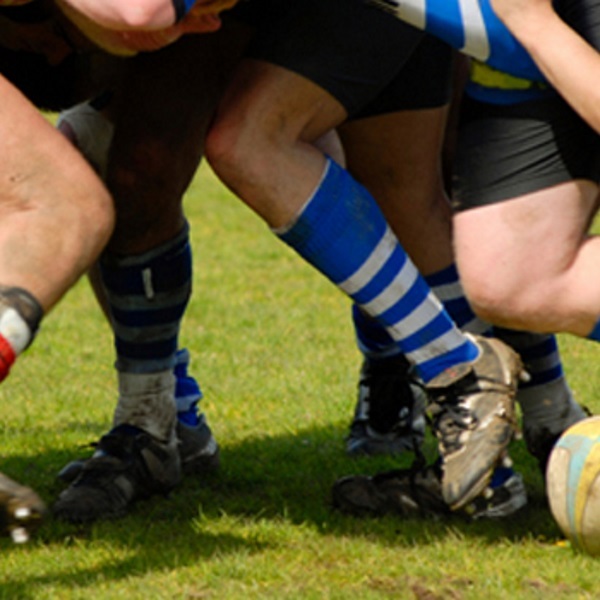 The purpose of this article is to demonstrate how you can analyze the performance of your athlete’s to appropriately place them in training groups. 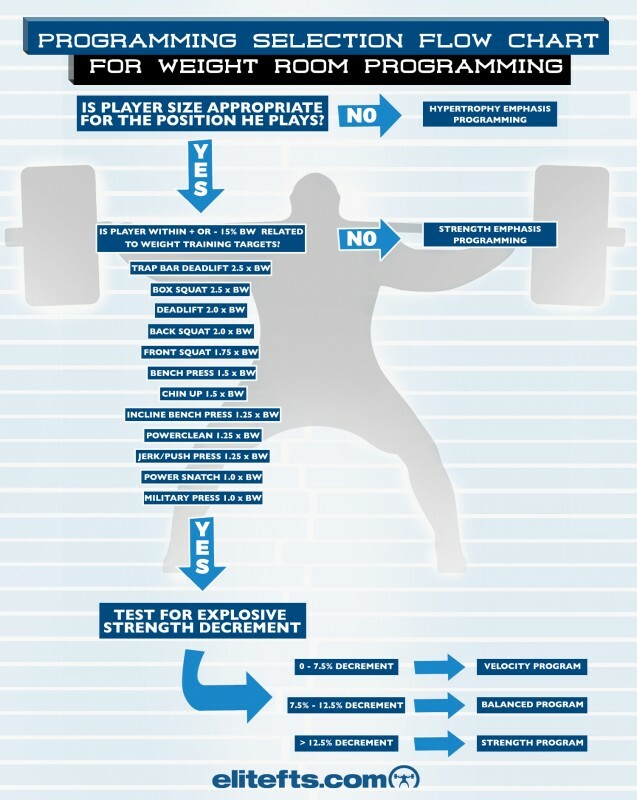 By assessing the strengths of each athlete, you can better determine their training needs and how to address them. Let’s begin by looking at the flow chart, with detailed notes to follow. 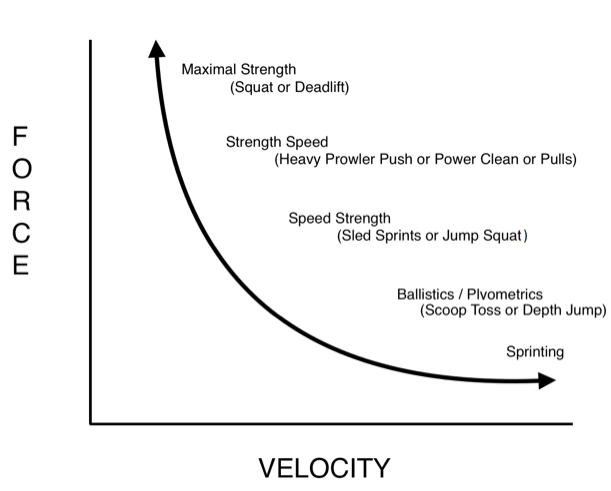 Velocity Programming – 80% of program in the bottom 2/3 of the force-velocity (FV) curve, 20% in the top 1/3 of the FV curve. Balanced Programming – Equal percentage of time in each 1/3 of the FV curve. By comparing the height jumped from a vertical jump from a static hold position with the height achieved in a counter movement jump, coaches can determine if a player requires more time in a strength based program or more time in an explosive/velocity based program. As an example, if a player has a vertical jump of 35 centimeters and a counter-movement jump of 50 centimeters, I would consider him to be in need of more strength training. The key is to regularly test and to slightly tweak the program on a regular basis. By using the force velocity curve as a guide to the development of specific programs, a trainer can allocate areas of the curve to improve aspects of performance specific to the player. This also would tie in very well with Velocity-Based Training popularized by Dr. Bryan Mann, by using a tendo unit or gym aware to monitor bar speeds to ensure the loading is specific to certain velocities required to stimulate gains in a certain aspect of the curve.